Purchasing pre-owned vehicles can be tough. 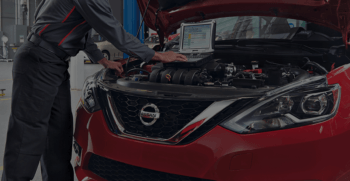 With this in mind, Nissan created a program specifically for pre-owned buyers – the Nissan Certified Pre-Owned (CPO) vehicle program. Looking to get behind the wheel of a new vehicle? We’ve got your back. In this post, we break down what you can expect throughout your first year of car ownership. There’s still an element of mystery surrounding Nissan’s all-new compact crossover, the Nissan Qashqai. So what do you need to know about the latest addition to Nissan’s line up? We break it down. Together with the Food4Kids Brant-Haldimand team, we’re putting an end to childhood hunger. We’re thrilled to announce that for each car sold, we’ll be donating 15 meals to a child in need in our community.